It’s a Spicy Saturday Pick!! I’ve suffered torments and tortures which still leave me aghast. Nor am I planning any future, as it’s in vain. Destroyed wishes and dreams become more than mere frustrated rage. My lost baby, you will be close to my heart. Written for 10/10 Tuesday based on the prompt ‘Close To My Heart’ hosted by Cynthia and Deepika. Poignant, Shalini. It’s not a loss I would wish on my worst enemy. I know… it’s a pain that is incomparable with anything in the world! This is a very poignant expression, Shalini! Thank you very much, Mam. Very moving poem. Thank you for sharing. Thanks, Vishal. Glad you liked. Thanks for stopping by. How tragic for the one who bore the loss, Shalini. So tough to put into words. I know… 😦 Thanks for stopping by, Mam. Hmm. That loss is too hard to take. I know a friend who had, and she wasn’t the same till she became a mum again. Poignant tale, so true for many. That was very touching shalini. That’s the worst thing to ever happen. 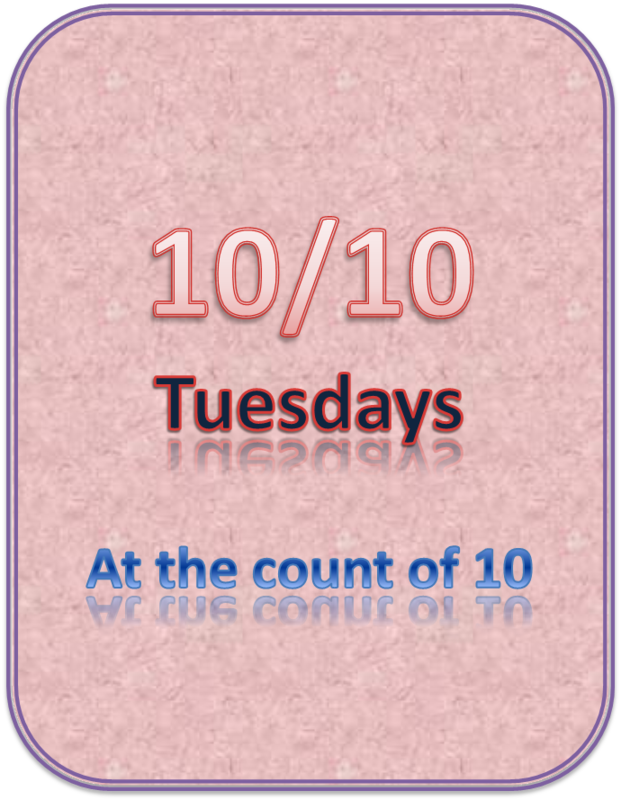 Welcome to 10/10 Tuesdays. See you there next week too. Thanks Cynthia. 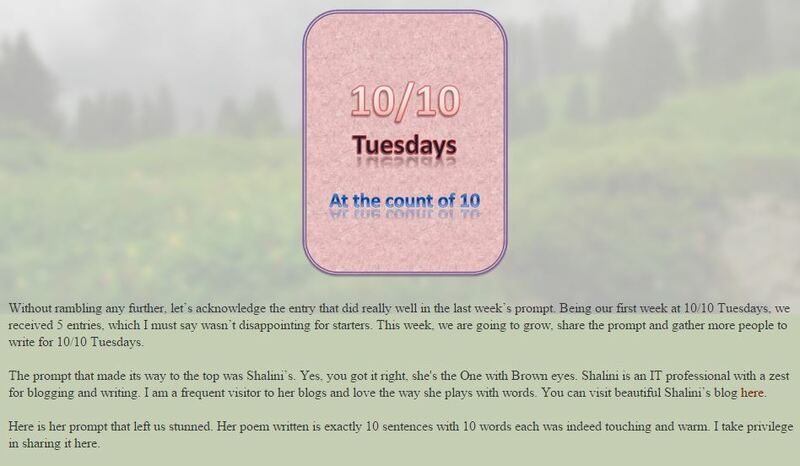 I loved writing for your 10/10. Great concept! And I’ll participate in the coming days 🙂 Thanks for stopping by. Very touching, Shalini. Lost baby will always stay close to heart,I have some experience in that area..
I’m so sorry to hear that, Vinitha. But I believe you are one strong lady. God bless! !